If last week’s theme was secrets, this week had a theme, too: brats. Spoiled brats, to be more specific. What’s gotten into everyone? Even the servants were acting like spoiled brats this week. The only person not acting like a spoiled brat is the original spoiled brat herself: Rose. She was too busy trying to cheer up some Russian refugees. I’ll be honest, I had a tough time coming up with five lines that actually stood out to me or made me laugh this week because throughout the episode I just kept shaking my head or yelling, “No! Don’t do it!” But I persevered and have come up with my Top Five Lines from the episode, or, to put it another way, Top Five Examples of Bratage in the Big House. 1. Let’s start with the most obvious, shall we? You seem to think that 1924 is actually 2014 what with your “modernized” value system and all. You act like it’s NBD that you went to Liverpool with a man who isn’t your husband, checked into adjoining rooms with him, slept with him for a week, and now are thinking of dumping him because you’re just not that into him. And then you dare to patronize your grandmother when she tries to call you on it. Granny was right, you know, Mary. It is scandalous in 1924. And for some of us, your behavior is even scandalous in 2014. 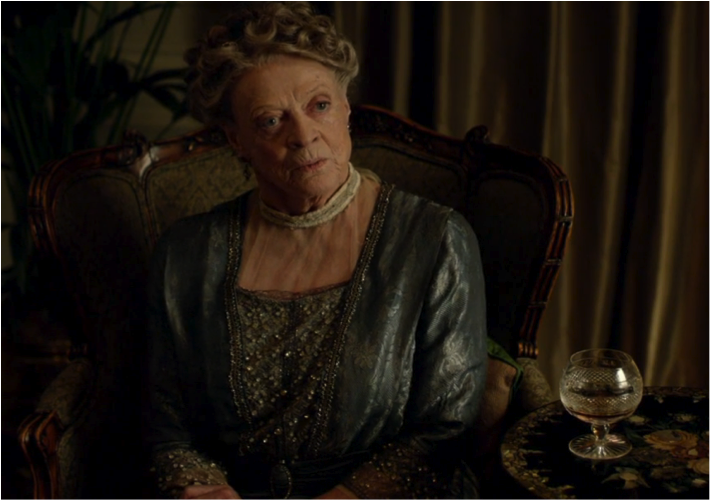 Did you just love the scene with Spratt and The Dowager just after he came back from catching Mary in the act in Liverpool? 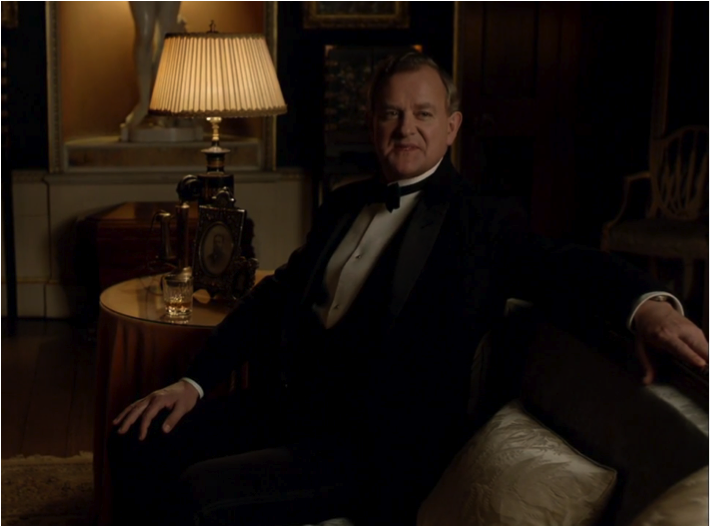 Spratt’s all: *shuffle, shuffle* I-didn’t-want-to-tell-you-anything-M’-Lady. And Spratt’s all: *shuffle, shuffle* I-didn’t-see-anything. But Violet recovers ever so quickly so as to avoid the townsfolk talking even more about her family than they already do. 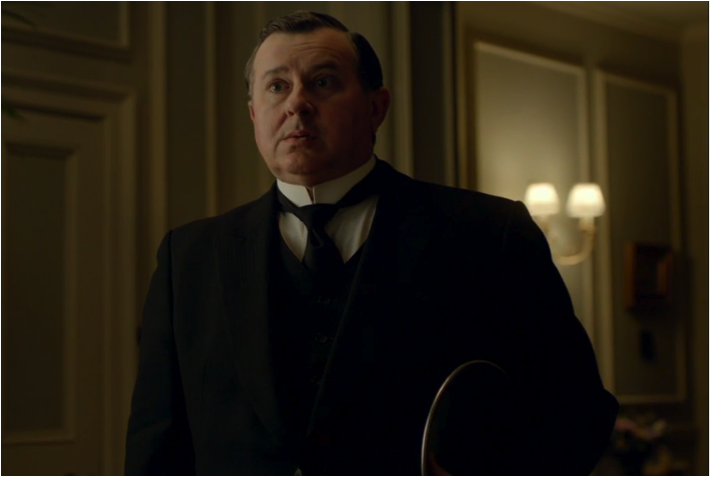 You didn’t think anything vulgar was going on did you, Spratt? Nothing beneath the dignity of this house, certainly? Whew! That sure shut him up. 3. 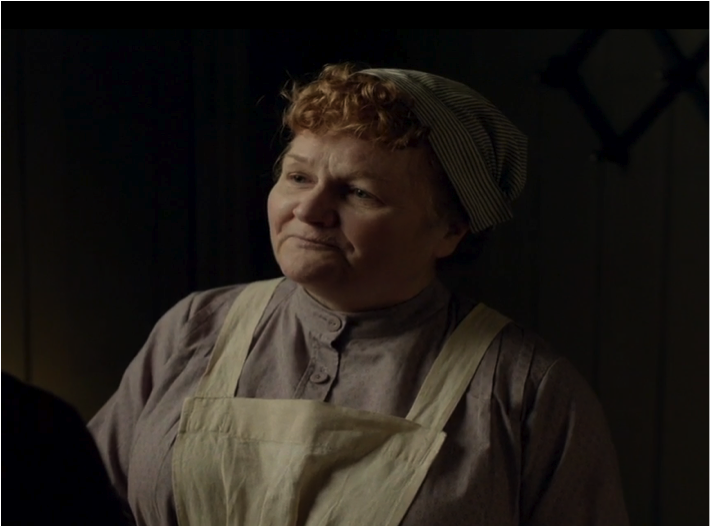 Mrs. Patmore even gets into the bratty brigade this week. She stomps and stews over getting her precious Army-deserting nephew’s name onto a memorial. Any memorial. Somewhere. Anywhere. 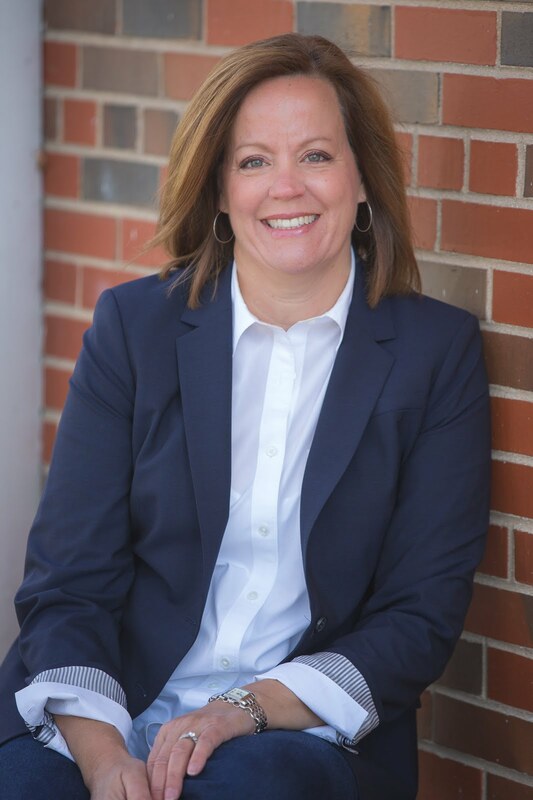 And so she convinces Mrs. Hughes to talk to Carson about getting Artie’s name put on the local memorial, even though her nephew never set foot in their town. 4. Mrs. Hughes took a swipe at being a brat this week as well. Even she gets mad at Mr. Carson for not being taken in by her big brown eyes and her jingling keychain, when he refuses her BFF’s request. And poor Daisy, eager learner that she is, gets caught in the crossfire. What can I say? Robert is pretty much always a brat—he’s never really grown up—but this week brings him to a new bratty low. When he suddenly wakes up and realizes that his wife has run off to London to visit an art museum with another man, he decides to delight Cora with his presence and jumps on the next train to London. But his little plan backfires when Simon Bricker invites Cora to an impromptu dinner and she blushingly accepts. 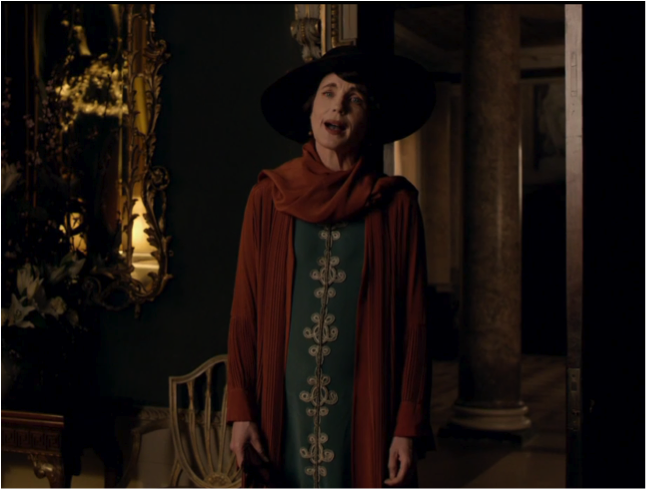 When she arrives at Rosamund’s townhouse, Cora is greeted by the original brat himself who berates her for not being available at his beck and call for the “surprise” visit (which, if you ask me, was nothing more than a check to make sure she wasn’t cheating on him). Cora apologizes: I’m dreadfully sorry. Now, I get it if you think Cora was being amazingly naïve in this situation. I’d even go so far as to agree with you. But right now we’re talking about the Brat Factor, and Robert’s got it in spades. So tell me, did you have any favorite moments from this episode? Leave me a comment! I sure would love to communicate with you! Why not sign up to have posts delivered to your email box? Easy peasy! You are spot on with all of these observations. I truly feel like the writers are trying to project 2014 morals on 1924 with the Mary affair. Perhaps I am naive, but I think people were far less risque than the television shows would have us believe "back in the day". 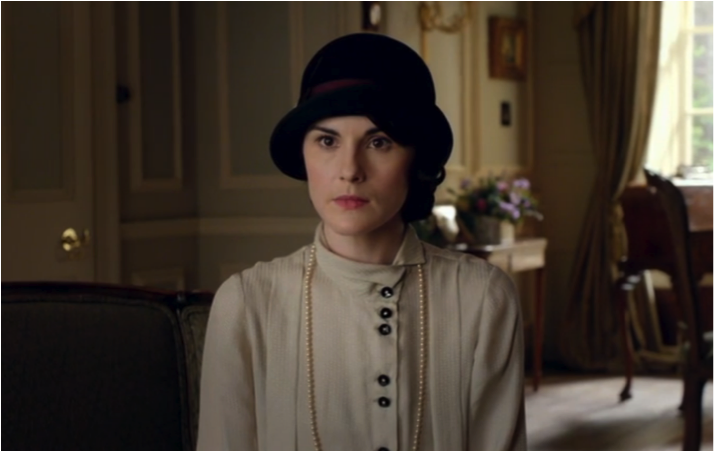 I Enjoy all of your Downton and non-Downton posts! Thank you so much for writing! New reader here. Really enjoy your blog. I'm a huge Downton fan. My fave line this episode was delivered by Violet: when she says to Mary that she did not feel physical attraction for a man unless instructed to do so by her Mamma! Ha!